Daren Sefcik: Remember, safety 3rd..and lose your vision! Oh Man that is crazy!!! I can't believe it was rusting in your eye. Glad you caught it before it got worse. Dear gawd. I'm cringing for you. I DO hope the "splat" effect will eventually diminish...or more hopefully, disappear altogether. 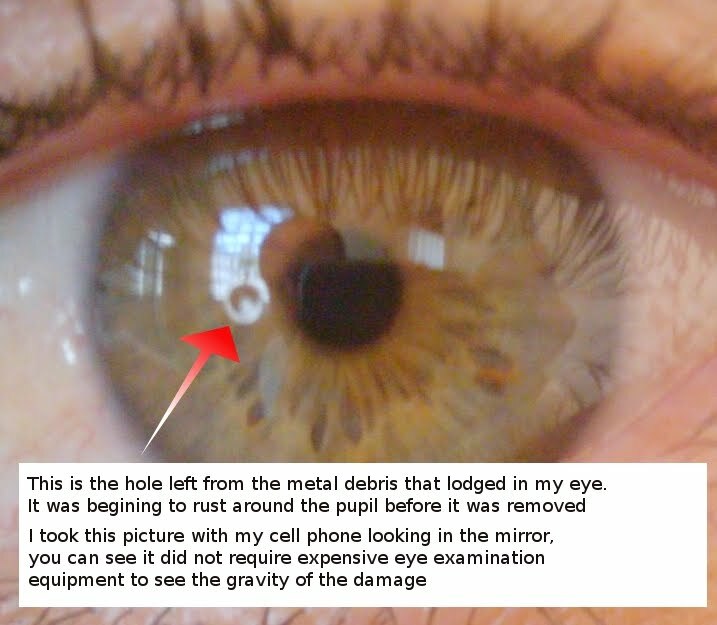 The hole has healed but left a bit of a scar so I am left with funky vision for sure, mostly hard to read now...but you do have the coolest name for sure! Love the project in recycling engineering. I had to giggle at pic #4 -- I said aloud "it's a homeless Cadillac!" I live in the ghetto, where the homeless peeps park their carts behind my car, so of course that would be the first thing to pop to mind.